Spine Group Alabama is a spine center in Birmingham, Alabama. 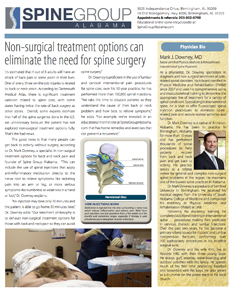 The spine center includes the expertise of Dr. Mark Downey, a specialist in Physical Medicine & Rehabilitation, who provides spinal injections and nonsurgical treatment options for back and neck pain. 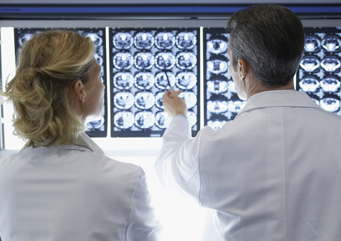 Dr. Downey works closely with affiliated spine surgeons and spine therapists for a comprehensive and collaborative multi-disciplinary approach to spine care. The spine center receives patients from across Alabama, including Montgomery, Tuscaloosa and Huntsville. 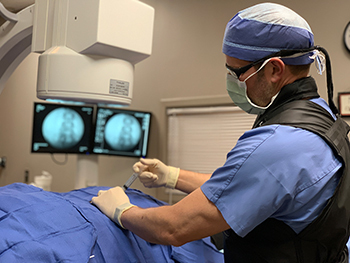 Spine Group Alabama combines the expertise of a nonsurgical interventional spine PMR physician working with affiliated spine surgeons and therapists. 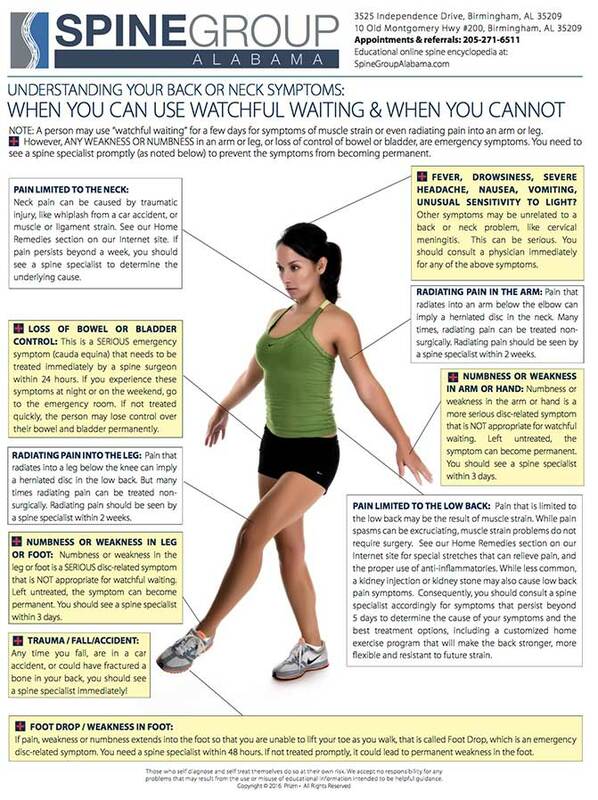 The spine center has an internal C-arm and injection suite that enables back and neck pain patients to have a pain-relieving spinal injection and go home within an hour. Dr. Mark Downey has been a spine specialist in Birmingham, Alabama for more than 10 years and has performed thousands of spinal procedures to help patients recover from back and neck pain and get back to activity. Dr. Downey maintains one of the busiest spine practices in Alabama. He is proficient in cervical, thoracic and lumbar injections. Over the past 2 years, he has become a primary referral source for thoracic and lumbar compression fractures, performing over 100 kyphoplasty procedures.